The official website of HRBlock.in claims that they have more than 2.5 Crore customers worldwide. In India they started operation in January 2012 however website was born way back in 1995 in the United States. At HRBlock.In for a small price of Rs 299/- you can get your returns prepared by experts. However, if your gains, losses and liabilities are of complex nature you can take appointment with an H&R Block Tax Expert. Consulting fee is applicable depending on your requirements. Perhaps you might be thinking why to spend money when there are other websites offering free services. Well, you don't necessarily need to spend money to E-File ITR. 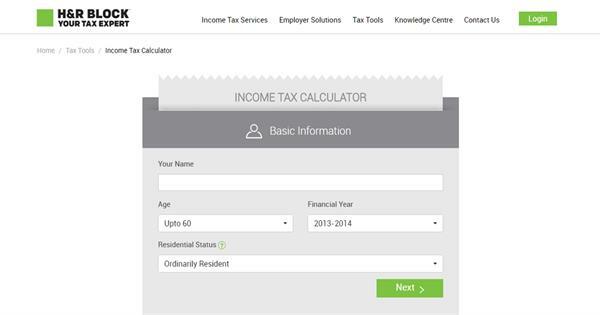 If you are salaried individual or professional like a freelancer you can file ITR using H&R Block free application. For employers they offer Corporate Partnership Programs and Form 16 Generator. Want to know how much you owe to the government? You can choose to Self E-File Income Tax Return or Assisted Online Tax Filing. While filing ITR you will need to provide personal information as well as financial information. Using H&R Block is safe and secure. They are Verisign secured, Cert-in certified and OWASP certified. The information that you share on H&R Block website when e-filing ITR travel through a 128 bit encrypted connection. They are very strict about users data security and adhere to Global IT norms. 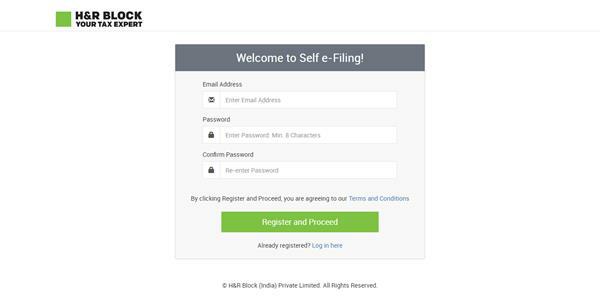 When you use HRBlock.In to E-File Income Tax Return, you not only complete a legal financial process but also get all tax benefits for those you are eligible under Indian Tax norms. The software is fully user friendly. You can do it yourself. The best part is assistance is also available for mere expense of Rs. 299/-. Professionals and Businesses can avail personalized H&R Block services for a higher price.